Did you know that up to 80% of waste in schools is recyclable? Imagine the impact schools can make when they recycle. All across New York State, students, teachers, and staff are making a difference with programs to recycle, reduce waste, save energy, and conserve resources. Recycling is not only good for the environment, but it also takes less energy and is cheaper. In fact, it is more economically sound to recycle than to mine for new materials. It all starts with teaching about recycling and inviting your students and children to go green. The resulting lesson is a lesson in responsibility, caring about the environment, and understanding that resources are not limitless. With a projected enrollment of 58 million students, public schools have a big responsibility. They produce a large amount of material suitable for recycling and compositing. This amount of waste, multiplied by all students in the country, means big trouble for our environment. Here are some important things to note. People, businesses, schools and other organizations generate, on average, 4.7 pounds of waste per person per day. Schools and other education facilities often are among the largest waste generators in any city, county or state. Every year, nearly 900 million trees are cut down to provide raw materials for U.S. paper and pulp mills. Each ton of recycled paper can save 17 trees, 380 gallons of oil, three cubic yards of landfill space, 4,000 kilowatts of electricity and 7,000 gallons of water. 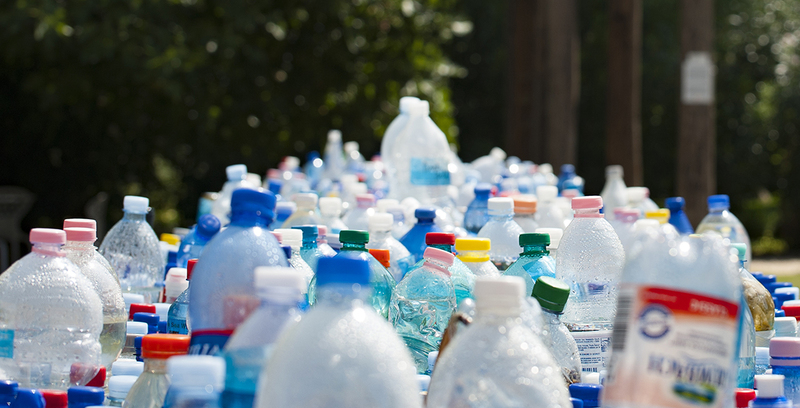 Glass and plastic beverage containers account for about 15 percent of the school waste stream. Recycling just one glass bottle saves enough energy to power a 100-watt electric light bulb for four hours. Recycling makes a big difference. As more and more homes, businesses, and schools go green, it is helpful for parents and teachers to teach the next generation the importance of recycling. From recycling old homework assignments to finding a new purpose for broken toys to taking a reusable water bottle to school, your kids can make a big impact. The earlier good habits are ingrained, the easier it is to incorporate them into your daily life. This goes for students and recycling too. Here are some activities you can do at home or at school to teach recycling. No one likes litter in their beautiful parks. Take your students to a park and point out the trash on the ground. This can go right into a lesson on how trash affects birds and wildlife in the area, who may eat the garbage and get sick. Before you leave, don’t leave the trash. Bring some bags and gloves and have your students help clean it up. This is a fun activity for kids young and old. Let them decorate bins with pictures of what should go in each one (paper, plastic, cans, etc.). Then give them items to practice sorting. Show them how important it is for everything to go in the right bin. The better the materials are sorted, the easier processing will be once it gets to the recycling facility. There are many classic stories that can teach recycling. The Berenstain Bears Go Green and The Lorax are good for younger students to learn about the world of environmentalism. One Plastic Bag is another book that talks about recycling in Gambia and how it can transform a community. Explore the rooms of your house. With recycling, it is easy to focus on the kitchen, however what about the rest of your home. Have your children walk around your home and point out what can be recycled. If you are not sure, research it together. Everything from stuffed animals, paint, bottles, ink, and more can have a new future that isn’t the landfill. Talk about how old toys and clothes can be donated to charities or turned into something useful for your home. It will start getting your kids thinking about how they can find a new use for their outgrown items. Cris has designed this fun-filled school assembly program to be fast-paced and FUN. In the “Pollution Solution” ecology show students learn that it took a long time for the environment to reach it’s current stage of pollution levels and it’s going to take a long time to make the earth healthy again. Please Note: There are NO “statistics” to bore the kids! This program grabs their attention with fun, zany make-believe homework assignments, one student will help decide WHICH LIVE ANIMAL magically appears during the show, a magical way to illustrate air pollution with a balloon, and so much more! Copyright © 2017 Amazing School Assembly Programs. All Rights Reserved.